Green Dental of Alexandria is pleased to offer tooth colored fillings as part of our cosmetic dental treatments to the residents of Alexandria, Arlington, Falls Church and the surrounding areas. We offer high quality dental fillings that are composed of the highest quality materials including porcelain and composite resin. Our tooth colored fillings can be closely matched to your surrounding teeth for a more natural appearance and are made to withstand the normal wear and tear associated from chewing. At Green Dental of Alexandria, our first priorities are patient safety, patient care and protecting the environment. Using the best and safest materials the industry has to offer, the most advanced dental technology and eco-friendly systems, we deliver top quality, green dental healthcare to professionals and families throughout Alexandria and the surrounding areas. Our dentist and staff are committed to your long-term dental health and your safety. 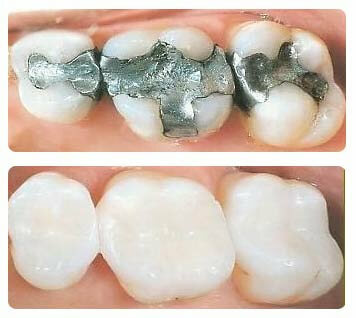 For this reason, our dental practice does not offer any dental restorations containing Mercury. In addition, we use amalgam separators to assist in the safe removal and replacement of old amalgam fillings. Natural colored dental fillings provide a great solution to tooth decay that takes into account both the form and function of your smile. For your convenience, our family dental practice accepts many dental insurance plans as well as cash, checks and credit card payments. We also offer flexible financing and in-house payment plans. Our friendly and knowledgeable professionals are available to work with you to help you find a financing plan that meets your specific needs. To accommodate our busy parents and working professionals, we offer extended hours as well as Saturday appointments.If you are in need of a dental filling or if you would like to replace your amalgam fillings with tooth colored fillings, please contact our Alexandria Tooth Colored Fillings Professionals at Green Dental of Alexandria today. We look forward to caring for your smile. I just had my first appointment at Green Dental and I couldn't be happier with their service. I tend to be nervous when going to the dentist, but all of the staff were very welcoming and nice. The exam chair massages your back as you're getting your cleaning and there's a television on the ceiling to distract you from dental work. The cleaning and evaluation was very gentle. Thanks, Green Dental! Top shelf dental care. Convenient location via METRO/King Street Station. Patient's dental chair features back massage capability along with TV viewing (CNN). Dr. Hye Park is very smooth. Dental experience beyond compare. I actually enjoy going to the dentist now. Once again, even the cleaning was uneventful. Love being able to look outside while I'm in the chair. Dr. Park has the most gentle & tiny hands ! Love this place and the staff. I've seen Dr. Park for a consultation only, but so far had a wonderful experience and trust she will take care of me when I come back for treatment. She was thorough in her explanations, and referred me to an amazing Oral Surgeon to take care of an issue outside of her area. ALL of her staff was super friendly, professional, and personable, the office is in pristine condition, and overall you can tell patient care is number 1 on their list. 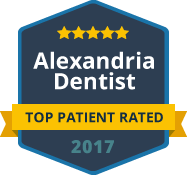 Green Dental of Alexandria serves patients dental needs in Alexandria, Arlington, Belle Haven, Crystal City, Falls Church, Huntington, Old Town, and the surrounding areas. Green Dental of Alexandria is one of the premier dental offices in Northern Virginia.